Missing a step or making a mistake in the Gator Dust installation process can lead to unnecessary headaches down the road. Under-watering … topping … overfilling the joints … these are just a few of the common mistakes we’ve seen made on Gator Dust jobs. (For details on other mishaps we’ve encountered, check out our blog post “The Six Most Common Gator Dust Installation Mistakes.”) To help you conquer your next Gator Dust install, we’ve put together this step-by-step guide for success! Before moving straight into the installation steps, let’s take a moment to review a few Gator Dust basics. First off, Gator Dust is ideal for any natural stone or wetcast pedestrian application (i.e. walkways, patios, pool decks, etc.). 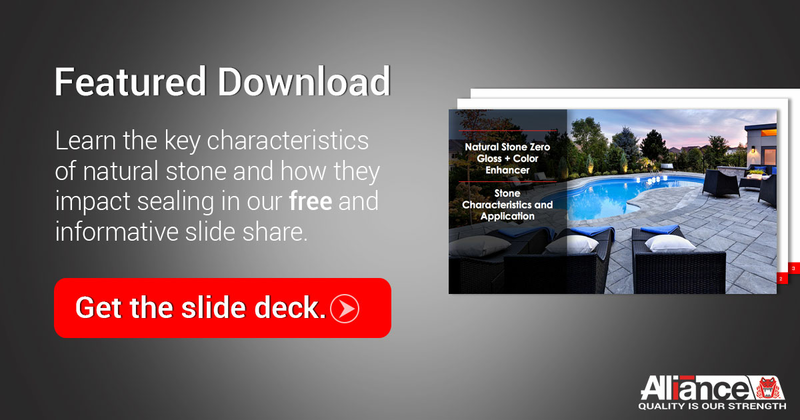 It can not be used for vehicular applications or for areas where stone has been installed over a concrete pad. Also, the natural stones must be stable on their own. There shouldn't be any rocking or movement as you walk across them. If the above details describe your application, then we can now talk installation! Make sure the top surface of the stone is dry. This is critical! A damp or wet surface will cause the Gator Dust to prematurely activate and will lead to the polymers sticking on the stone. If you’re using natural stone, sweep the Gator Dust in between the full depth of the joints using a hard-bristle broom. If you’re using wetcast stone, carefully pour the Gator Dust in between the full depth of the joints. Use a scoop to avoid getting any Gator Dust on the wetcast stone surface. Hit the stone with a rubber mallet or a section of wooden 2x4; this will make the Gator Dust consolidate firmly into the joints by removing any air pockets. Repeat Step 2 and this Step 3 at least two more times. Using a coarse bristle broom, brush off the bulk of the Gator Dust from the surface. Then, using a soft fine-bristle broom, sweep all the remaining Gator Dust off of the stone surface and make sure the Gator Dust lies at least 1/8” below the top of the stone. Use a leaf blower to blow the remaining Gator Dust residue off of the stone surface. Shower and rinse simultaneously (again, working in sections of about 100 s.f. at a time). The goal is to remove any Gator Dust residue from the stone surface and mist it directly into the stone joints. Some puddling or ponding of the water is acceptable, but you should never see water running off the joints. Wait no longer than 2-3 minutes before moving to Step 8. Use a leaf blower to blow any excess water off of the stone pores and crevices. This blowing action is necessary to help remove any remaining Gator Dust residue that might have been left on the stone surface from the previous steps and could be left behind as the water evaporates. By carefully following these step-step Gator Dust installation instructions, the product will harden to form extremely strong and stable joints … and even continue to harden over time. For further details on installation, coverage, packaging, and more, visit our Gator Dust product spec page.